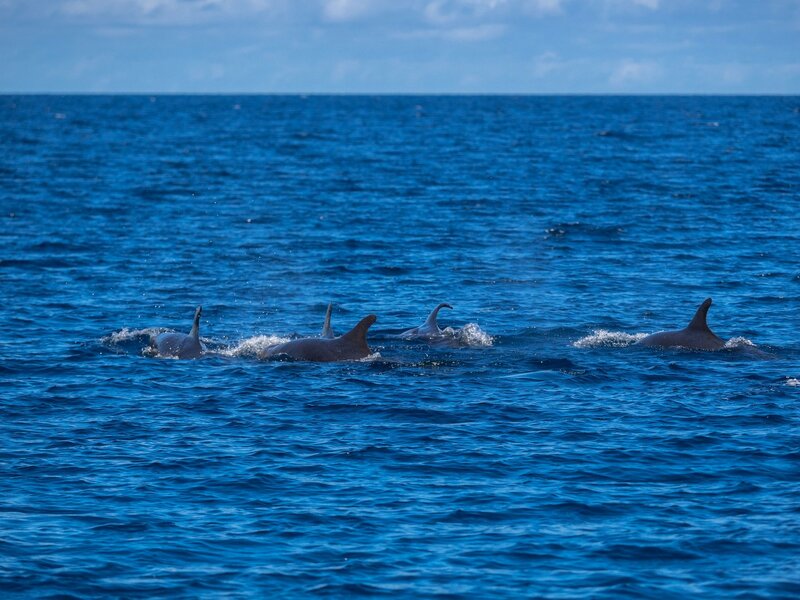 The picture shows five dolphins with their back and dorsal fin exposed encountered on the boat ride in between dives. Encounters like this are quite frequent in Raja Ampat. The photo was taken by David and Melanie Benz during their visit at Papua Explorers Dive Resort.